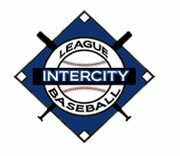 The #1 Andre Chiefs and the #2 Lexington Blue Sox both earned first round playoff byes. Melrose – Lexington powered its way to an 8-1 win over Reading Wednesday night behind four home runs in game two of the Intercity League finals. Dan Graham led the long ball parade with two home runs and drove in three. His two-run shot in the first put the Blue Sox up quickly and his second one came in the seventh. In between his home runs he was walked twice. Chris Ruocco hit his first home run in a Lexington uniform in the sixth, a solo shot to left. He had an RBI double in the second and finished the night with three hits and two RBI. The Sox fourth home run was by Dorian Rojas, who hit his a batter after Graham’s in the seventh. It was Rojas’ first post season home run and second in a Blue Sox uniform. Reading was not left out of the home run parade, as Johnny Hayes hit a solo shot to left in the third to cut the lead to 3-1. This was his first playoff home run for the Bulldogs. Drew Leenhouts pitched six strong innings for his second win of the playoffs for Lexington. He scattered three hits, walked one, and struck out one. Colby Morris made the start for Reading falling to 2-2 in the post season. In 6.1 innings he gave up 10 hits, eight runs, walked three and struck out three. Game three of the finals is Thursday night at Morelli Field in Melrose with an 8:00 pm start. Melrose – The Lexington Blue Sox won game one of the 2017 finals 7-3 to take a 1-0 lead over the Reading Bulldogs Monday night at Morelli Field. The Blue Sox scored twice in the first inning to get off to a quick start. The 2017 ICL batting champion, Jeff Costello, started off with a single to right. He took second on an errant pick off throw by Bulldogs first baseman Mike Taylor, and then scored on a double to center by Jeff Vigurs. Vigurs scored the second run as he moved to third on an infield out and then came home on Julian Alvarez’ RBI infield out. Lexington essentially put the game away in the second scoring four more runs. The Sox loaded the bases on a walk Thomas Russo, and singles by Josue Feliciano and Costello. Russo scored on Vigurs’ RBI fielders choice. Ross Curley reached on a hard-hit single off Bulldogs third baseman Johnny Hayes that scored Feliciano and Vigurs. Dan Graham’s second double of the game plated Curley and the Sox had a 6-0 lead. Reading did not go quietly as Taylor hit his first 2017 postseason home run in the fourth with Zac Tallis aboard to make it 6-2 in the fourth. Alex Voitik made it 7-2 in the fifth with a solo home run to left, his first of the 2017 playoffs and the teams first. The Bulldogs added their third run in the sixth. Mike DeDonato and Tallis singled to put runners on the corners with no outs. Taylor’s sacrifice fly to center scored DeDonato. Taylor drove in all three Reading runs. Ryan Filipowicz started for Lexington and pitched six innings in picking up his second win of the postseason. He allowed all three runs, gave up nine hits, walked none and struck out four. Rob DiFranco closed out the game for the Sox with a 1-2-3 seventh inning. Reading started Zac Levine pitched five innings and took the loss. He gave up 12 hits, walked two and struck out one. Jack Theriault pitched the sixth for Reading. Game Two is Tuesday night at Morelli with first pitch scheduled for 8:00 p.m.
Can’t make it to the finals and want to know what is happening. to follow the pitch by pitch action. Melrose – The underdog Reading Bulldogs upset the first place finisher Andre Chiefs 3 games to 2 in the semifinals to advance to the Intercity League finals for the first time in team history. Reading finished sixth in the regular season and since the league expanded the playoffs to six teams in 2009 is the first six seed to move past the first round and reach the finals. The Bulldogs answered Johnny Welch’s first inning home run with single runs in five straight innings (2-6) to take a 5-2 lead into the seventh. Reading tied the game in the second when Chris Bosco walked, went to third on Mike Taylor’s single and then came home on a double play for the first of his three runs scored. Bosco scored his second run in the fourth when he singled, moved to second on Taylor’s single, third on an infield out and scored on Johnny Hayes single. His third run and the Bulldogs fourth was in the fifth. He doubled and scored on an error by Chiefs rightfielder Mike DeCato. The final run for the Dogs came in the sixth when Corey DiLoretto walked to start the inning. He went to third on Hayes single and scored on Kevin Marciano’s infield out, his second RBI of the game. Jack Burke started for Reading and pitched 6.2 innings before giving way to Alex Mandrus. Mandrus came in with the bases loaded, one run in and two outs. He threw one pitch to Mike Barbati who grounded out to second base to end the game. Barbati scored the second Chiefs run in the fourth. He singled to start the inning. Barbati moved to second on Mike Andre’s infield out and then took third on a passed ball. He scored on an infield out by Mike Gedman. The Chiefs did not go quietly in the seventh loading the bases with one out on a single, fielders choice and walk to Welch. Matt Nuzzo walked on a 3-2 pitch to cut the lead to 5-3. Mandrus then came in and quickly preserved the win and sent Reading to the finals. In 2011 Reading was the first fifth place team to advance to the semis beating Testa Corp. 2 games to 1. In 2012 the Bulldogs repeated the feat with a 2-1 win over Wakefield in the best of three series. Both years they played Lexington in the semis and lost 3-2 in 2011 and 3-0 in 2012. They will now face Lexington, in the finals for its 11th consecutive season, in the Bulldogs first appearance in the finals since joining the league in 2010. Game one of the finals will be Tuesday night at Melrose’s Morelli Field. Game five of the best of five series semi-final between the Reading Bulldogs and Andre Chiefs will be played tonight (Sunday) at Pine Banks Park starting at 7:30 PM. 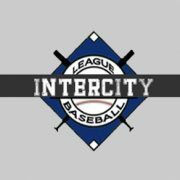 The winner will advance to meet the Lexington Blue Sox in the ICL’s Championship Series which will begin on Tuesday night. The Bulldogs jumped out to two game to none series’ lead, winning the first game 6-2 in eleven innings, then beating the Chiefs 6-4 in game two. The Chiefs forced tonight’s deciding game by taking the next two games 8-5 and 9-2. Kezer Field at Pine Banks Park is located at 101 Main St, Melrose MA 02176. Fans are asked to bring their own chairs as there is limited seats at the facility. Additional parking is available behind the centerfield fence. Veteran lefty Tim Dunphy spun a complete game five-hitter to keep the Andre Chiefs alive and tie up their semi-final series with the Reading Bulldogs 9-2 on Friday night at Morelli Field. The deciding game of the best of five series will be played on Sunday night at 7:30 PM at Pine Banks Park on the Melrose-Malden line. Johnny Welch led the Chiefs’ 12-hit attack with three hits, including a double, and three RBI. Tony Serino had two hits and scored four runs. Shane Stande knocked in a couple of runs with a single and a double, Matt Nuzzo had a two RBI single, Mike Andre had an RBI double, and Mike Gedman pitched in with a double and drove in a run with a sacrifice fly. Darren Hartwell had two of the Reading hits and scored both runs. Dunphy struck out five while throwing only 75 pitches in the game. Colby Morris took the loss before giving way to Alex Mandrus in the 5th inning. The winner of Sunday night’s game five at Pine Banks will move on to meet the Lexington Blue Sox in the ICL’s Championship Series that is scheduled to begin on Tuesday night. The Blue Sox swept the Somerville Royals 3-0 in their series that concluded on Wednesday. Fans who plan to attend Sunday’s game are asked to bring their own lounge chairs. The #2 Blue Sox beat the #5 Somerville Royals 11-4 on Wednesday night in Lexington and in the process competed a three game semi-final sweep. The Blue Sox used a big seven run sixth inning to ice the win and the series. The big hit was a bases clearing double by Thomas Russo, who had four RBI in the game. Drew Leenhouts picked up the series clinching win. The lefty allowed just one run and five hits, while striking out nine, in his six innings of work. 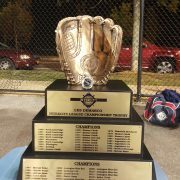 With the win, the Blue Sox advance to the ICL’s championship series for the 11th straight season and the for the 14th time in the last 15 years. At Pine Banks, the #1 Andre Chiefs used a seven run first inning to stay alive and beat the Reading Bulldogs 8-5 in game three of their series. Tony Serino led the Chiefs with three hits, Matt Nuzzo added three RBI’s, and Nate Witkowski had a single, double and two RBI’s. Darren Hartwell and Kevin Marciano had three hits each for the Bulldogs and Zac Talis picked up a double and single. Josh Deasi went the distance for the Chiefs and struck out ten, including the side in the seventh. Steve Hueston took the loss. Zac Levine allowed just two runs for Reading in 6.1 innings of relief work.